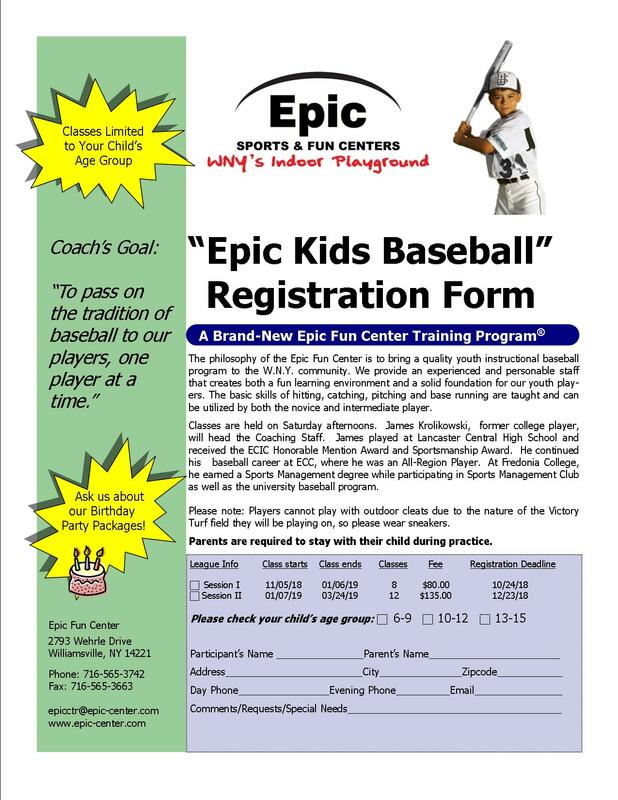 Epic Fun Center has expanded its baseball facility. In May 2017, we installed a brand new Victory Turf infield (Open #3), which expanded to 100' x 94'. The field is completely open, with no obstructions such as ceiling support beams. 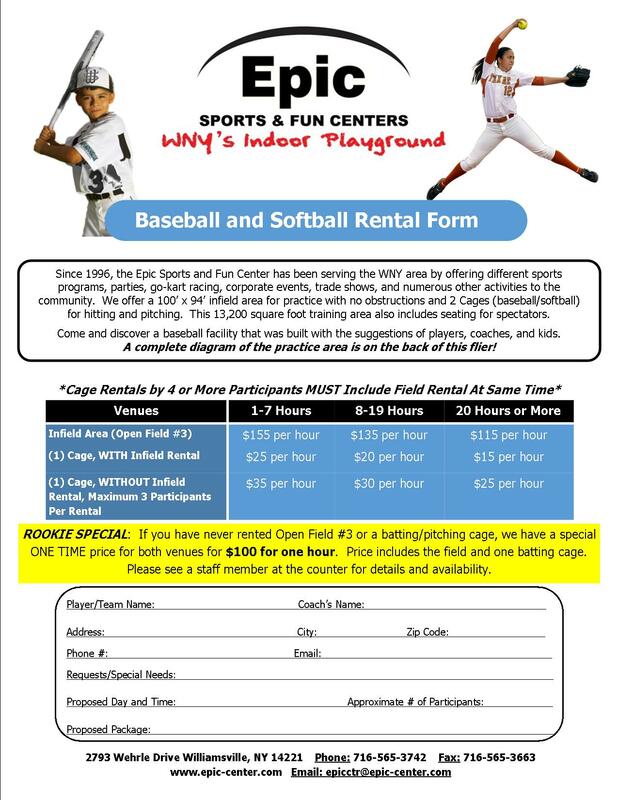 We also have 2 cages set up for hitting and pitching for baseball and softball players. The total 13,200 square foot training area also includes spectator seating. 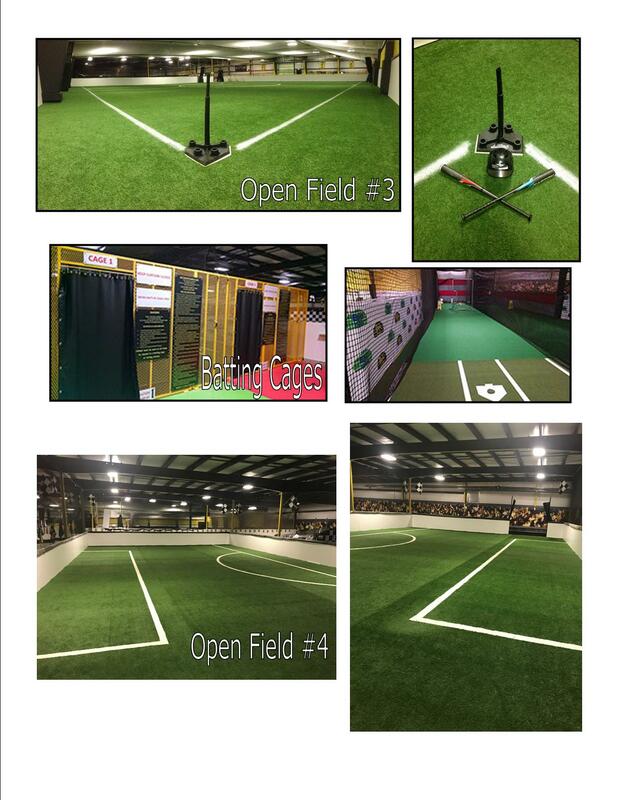 In May 2018, we installed an additional training field (Open #4) which is 74' x 45'. This new area rents at $145 per hour or $135 when 8+ hours are booked.